Note: I received the above photo in an email forward. It is not photographed by me. The copyright and credit of the photo remains with the original photographer. If you are the original photographer, please let me know; I'll very happily link back to you. 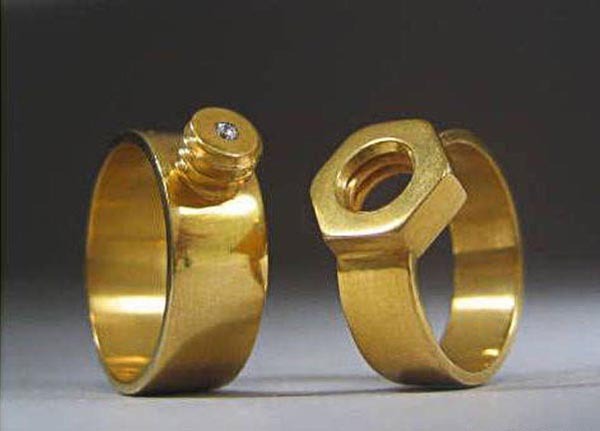 Very original wedding rings, Bavesh ! The bird of your previous post is very beautiful. Interesting but not my cup of tea. I'm more of a traditionalist.